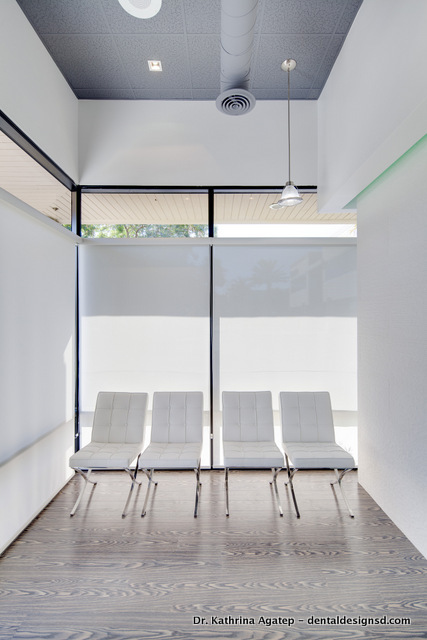 In October 2013, we converted an industrial warehouse on 9540 Waples St to a new, modern dental office. Built with design elements inspired by urban living and minimalist design, our goal was to create a space unlike any other, one that would be an artistic expression in of itself, as well as be extremely energy efficient and environmentally conscious. In additional to the new layout and design, we upgraded all of our equipment to include; CEREC CAD milling station for same day restorations, NOMAD handheld low emission X-Ray, ultra-comfortable wide treatment chairs, optional headphones to stream your favorite Pandora stations, and a Nespresso station for that all-day buzz.